Sadie started playing violin at the age of 3 in her mom’s Suzuki violin studio in Harrisburg, PA. She enjoyed playing the violin immensely, but when she heard a “real” viola (a big 17” one!) at a String Quartet Camp in Portland, ME, her heart melted, and began formal training on the viola as well. At age 12 she played in orchestra for the first time and fell in love. “This is what I want to do forever, mom,” she exclaimed. Sadie attended classes through her high school years at the Peabody Prep Program in Baltimore, traveling from Central PA to Baltimore every weekend for theory and viola lessons, paying frequent recitals and chamber programs, and going to Europe with the school’s orchestra. She went on to earn a BA in viola performance from Indiana University School of Music in 1997 and an MA in viola performance from University of Maryland in 2000. By this time, Sadie has picked up a few more instruments along the way, basically playing anything with strings on it: mandolin, piano, Baroque violin, viola da gamba, guitar and yes, the washtub bass. Sadie has toured country playing with orchestras from the West Coast to the East Coast and regularly spent her summers playing in an opera orchestra in Graz, Austria. Spending some time in NYC, she played various shows on Broadway, made her Carnegie Hall debut, and got to be a part of some very fun recording projects. Playing with the White House Quartet for the President was a highlight of her career. Currently, Sadie plays for weddings all over Charleston and surrounding areas in addition to performing with the Charleston Symphony, Harrisburg Symphony, New Jersey Symphony and the Northeaster PA Philharmonic. On the side, Sadie LOVES to fiddle and play early music. Spending the summers with her mom and small daughter in the mountains of NC learning more and more fiddle tunes is a highlight of her year. Her daughter, Autumn, already knows a few tunes herself. 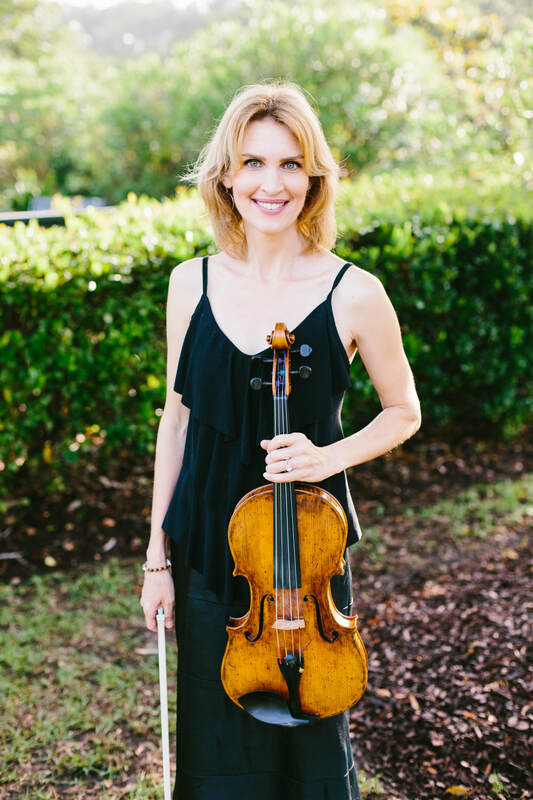 Sadie has been an educator for over 20 years, maintaining a private strings studio as well as teaching at music schools in Washington, DC and New York City before settling in beautiful Charleston, SC where she is a faculty member of Ashley Hall. ​Sadie is also an avid knitter – if she is not playing stringed instruments, she is knitting – if she is wearing a sweater, chances are, she made it herself! ​Note: This is not a comprehensive list. Many selections available upon request. Contact us to customize music for your special event!